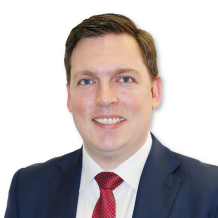 Super funds have emerged from the recent market downturn in top shape, recovering from a string of losses suffered in late 2018 as investors regained confidence and share markets were bolstered by a generally positive earnings season. February’s median Balanced option return of 2.6% was the highest monthly return since July 2016, while the median Growth option did even better, returning 3.3% over the month. 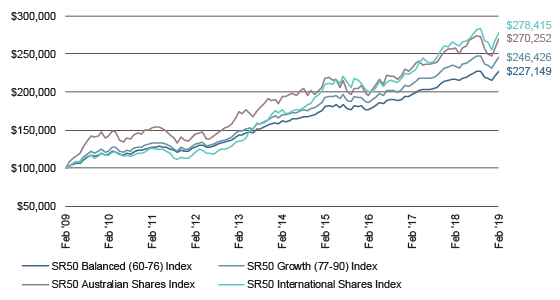 Highlighting the strength of the market rebound, the median Australian Shares option returned 5.4% over the month, outperforming the median International Shares option, which returned 4.2%. This contrasts with performance at the end of 2018, which saw super funds hit by four consecutive months of negative returns. Following February’s performance, members invested in the median Balanced option are now fully recovered from last year’s market sell-off. The positive performance for super funds in February has helped to boost total balances over the ten-year period ending 28 February 2019, with $100,000 invested in the median Balanced option in February 2009 now worth $227,149. The median Growth option is worth $246,426 over the same period, while $100,000 invested in domestic and international shares ten-years ago is now worth $270,252 and $278,415 respectively. In contrast, $100,000 invested in the median Cash option ten years ago would only be worth $129,990 today. 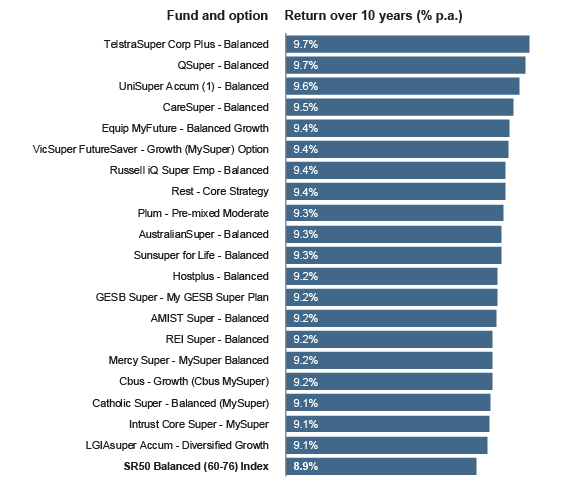 Australia’s top-performing funds continue to deliver for members, with TelstraSuper’s top-ranking balanced option returning 9.7% per annum over the past 10 years, followed closely by industry funds QSuper and UniSuper. The rankings show how tight competition is among Australia’s leading funds when it comes to long-term performance. Mr Rappell said the results highlight the need to ensure members continue to have a wide range of high-performing funds to choose from. Warnings: Past performance is not a reliable indicator of future performance. Any express or implied rating or advice presented in this document is limited to “General Advice” (as defined in the Corporations Act 2001(Cth)) and based solely on consideration of the merits of the superannuation or pension financial product(s) alone, without taking into account the objectives, financial situation or particular needs (‘financial circumstances’) of any particular person. Before making an investment decision based on the rating(s) or advice, the reader must consider whether it is personally appropriate in light of his or her financial circumstances, or should seek independent financial advice on its appropriateness. If SuperRatings advice relates to the acquisition or possible acquisition of particular financial product(s), the reader should obtain and consider the Product Disclosure Statement for each superannuation or pension financial product before making any decision about whether to acquire a financial product. SuperRatings’ research process relies upon the participation of the superannuation fund or product issuer(s). Should the superannuation fund or product issuer(s) no longer be an active participant in SuperRatings research process, SuperRatings reserves the right to withdraw the rating and document at any time and discontinue future coverage of the superannuation and pension financial product(s). Copyright © 2019 SuperRatings Pty Ltd (ABN 95 100 192 283 AFSL No. 311880 (SuperRatings)). This media release is subject to the copyright of SuperRatings. Except for the temporary copy held in a computer’s cache and a single permanent copy for your personal reference or other than as permitted under the Copyright Act 1968 (Cth. ), no part of this media release may, in any form or by any means (electronic, mechanical, micro-copying, photocopying, recording or otherwise), be reproduced, stored or transmitted without the prior written permission of SuperRatings. This media release may also contain third party supplied material that is subject to copyright. Any such material is the intellectual property of that third party or its content providers. The same restrictions applying above to SuperRatings copyrighted material, applies to such third party content.